More than 30 students have competed in this year’s Damascus College Energy Breakthrough Team (EBT) at the RACV Energy Breakthrough event in Maryborough, which was held from 22nd to 25th November. This year was the 21st year Damascus has competed at Maryborough, where they competed against other schools around the region. EBT Coordinator, Mark McLean said that EBT gives students the opportunities to learn leadership skills, peer mentoring and a wide range of problem solving techniques. “The students have logged nearly 2000 hours of workshop time in developing our vehicles, this unique opportunity assists the students to develop abilities to form positive working relationships through clear communication strategies,” he said. 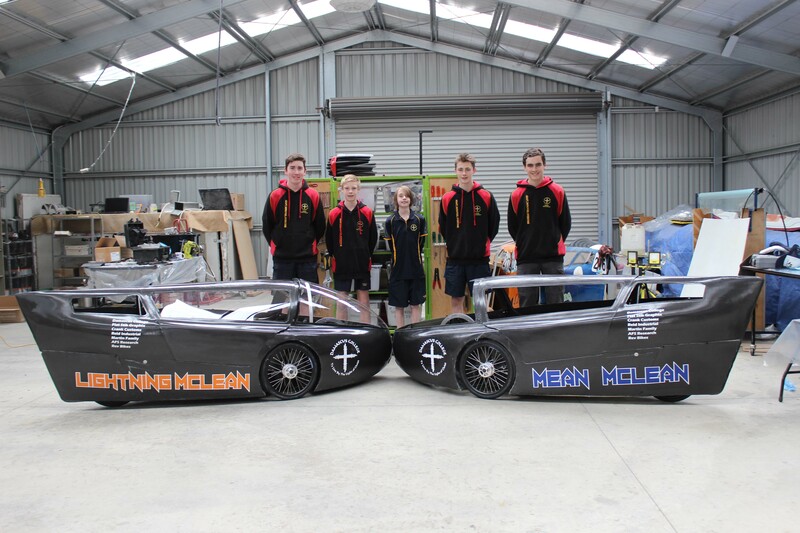 “This year we are excited as we have built two new vehicles with a new concept monocoque chassis, with both being pedal electric hybrid vehicles. We have also gained much skill in the use of pre preg carbon fibre and are turning out some really professional parts, including for the first time the use of some 3D printed parts” he said. 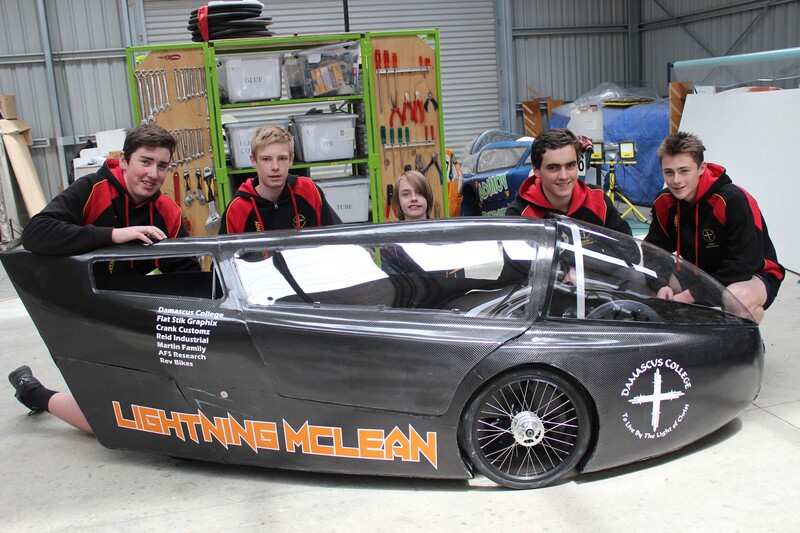 “Mean McLean” – Winner of Hybrid Design and Construction, Total laps = 564 (891 Km) 4th in Class, 10th overall of 113 entries. “Lightning McLean” – Winner of Display and Presentation, total laps = 533 (842 Km) Runner up in Class, 22nd overall of 113 entries. These two entries represent the highest number of kilometres that any of the previous Damascus vehicles have managed, 100 kilometres more than the Hybrid winner (Cookie) – in 2009.